Question: I am able to use Ford VCM II to read and clear any dtcs etc so it is recognizing vehicle, just freezing up when opting parameters ? I am working on Ford 2014 custom. I’ve had similar before but was on my faulty vcm i think. Freezing is usually because of something which can’t communicate quick enough and ends up timing out. You could reset the vcm via the red reset button, it’ll force ids to reload the firmware to the vcm which will be whatever firmware you have in the ids that is loaded, v101 I think you said. You do have the vcm2 clone yes. Remove the rubber end boot to reveal the button then have that pressed and held then plug usb lead into laptop and wait for beep then let go of the button, ids should prompt you to load the firmware so agree. Next if the problem persists you need to look at reloading the laptop. It is possible that the vcm is going though does it show the red padlock and red vcm icon on the task bar or does the lock disappear? Does the vcm show computer light flashing? Do you hear bing bong like it is missing connection? Can you do a fresh install of w7 and v86 with license? That is the best ids for euro 4 transits if that is what you are working on? Right it’s not as simple as running native v86 then which was going to be my suggestion. I have v96 running and it works on my 65 custom. I don’t want to write your vcm off but the only things you can do is. There maybe vcm diagnostics available in ids but as it is a clone vcm i wouldn’t trust it. 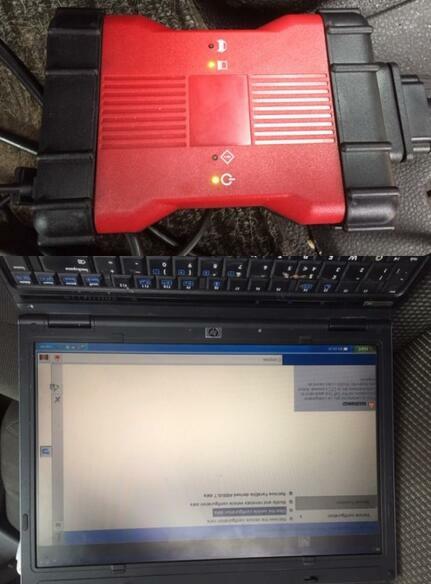 Posted in Auto Scanner Tools and tagged Ford IDS, ford ids software, FORD VCM, Ford VCM 2, Ford VCM IDS, Ford VCM II, ford vcm ii diagnostic tool, ford vcm ii for sale, ford vcm ii professional scanner, IDS Ford, ids scan tool, VCM 2, VCM FORD, VCM II FORD, VCM2 IDS.